The former ABC program has a new name now: “Habilidades para la vida” (Abilities for Life). As its name suggests, our kids not only learn basic subjects – Math, Literature, Social Studies, Science, etc. – they also learn everyday activities which will help them in their lives. 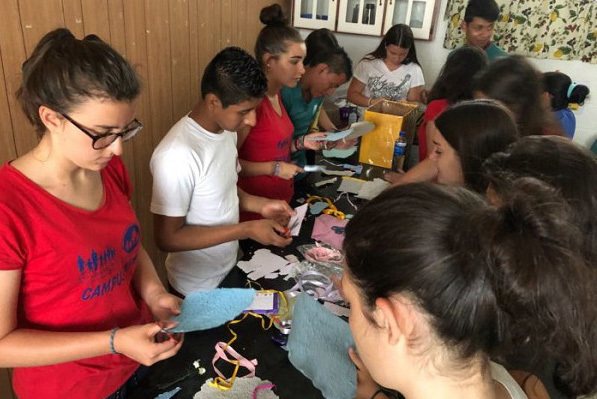 The students in the class each have their own struggles in the learning process, which is why it is important to create confidence among themselves and why participating in the workshops really makes a difference in their lives. One workshop focuses on day-to-day important life skills – cooking, while the other – paper recycling – focuses more on setting the young adults up with skills to propel them to successful work in the future. 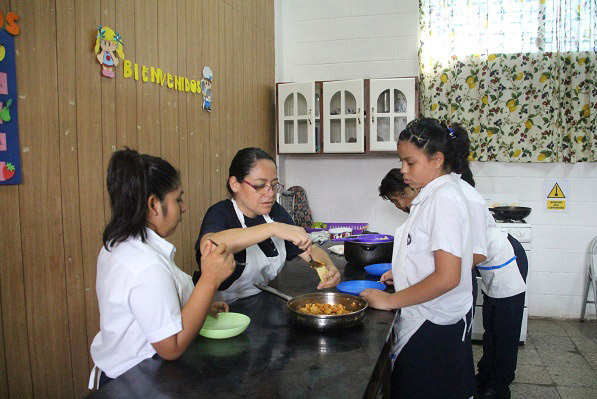 Visiting a cooking class was very exciting for the students. They were engaged in preparing a delicious dish to share afterwards. During this class, they prepared pasta. Each student had a specific role, according to their abilities. After some time of preparation, the dish was ready, and we all got to share. We are sure that our kids will succeed in life with the help of their generous supporters as well as their own efforts. 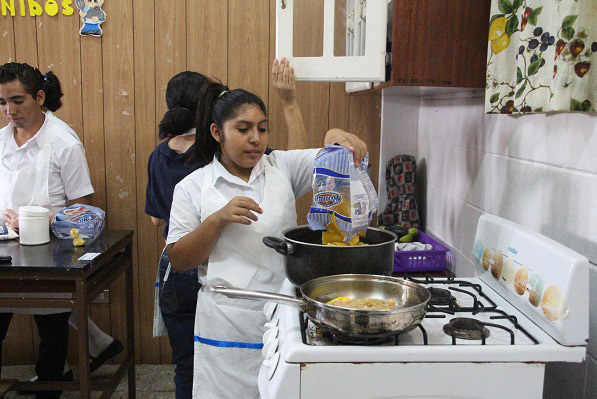 Photo above: Preparing pasta in class; Photos below: One of the students turning the stove on in order to start cooking; Teacher Veronica explaining a recipe to the students; A group of visitors working in the recycling paper workshop.